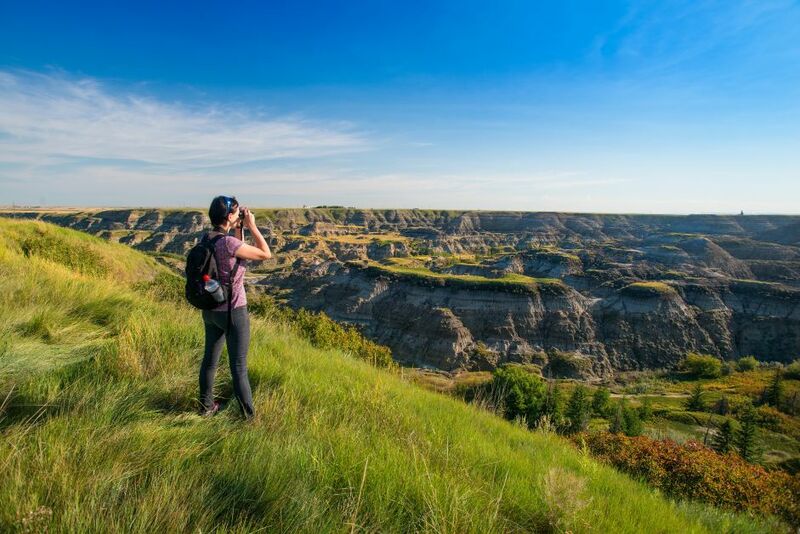 Located approximately 15 minutes west of Drumheller, Horseshoe Canyon makes new headlines with Nature Conservancy of Canada (NCC) Nature Destinations. NCC has launched Nature Destinations, a program that showcases Alberta and the rest of Canada’s natural areas by encouraging people of all ages to explore them. The breathtaking scenery of the Horseshoe canyon was a top choice when deciding which areas would make the cut. So far only two conservation sites in Alberta have made the list of 20 places to see across the country. This includes the Hopkins property about an hour from Edmonton, and the Nodwell property, also known as Horseshoe Canyon. By 2020, NCC hopes to have 50 new destinations across the country, with 10 new sites being celebrated each year. These are spaces for people to hike, explore and watch wildlife. The non-for-profit organization hopes that people will enjoy the health benefits of being active in nature as well as learn to appreciate and respect mother nature in all its entirety. “I believe that time spent outside in nature is critically important to fostering and inspiring an appreciation for conservation,” says Erica Thompson, NCC’s senior national director of conservation engagement. The Nature Destinations website, naturedestinations.ca, provides detailed information on the features of each location, including interactive maps and easy-to-follow directions.